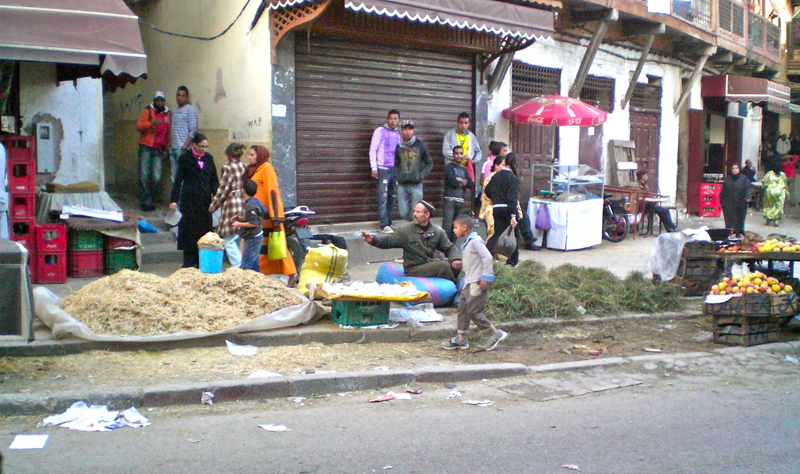 It’s holiday season here in Morocco, though it’s not turkey and sweet potatoes people are buying up, it’s sheep. Live sheep that were slaughtered to commemorate Eid al-Kabir, the Islamic holiday that celebrates Abraham’s willingness to be obedient to God and sacrifice his son. It’s the same story Jews and Christians believe, just replace Issac with Abraham’s other son, Ismael. 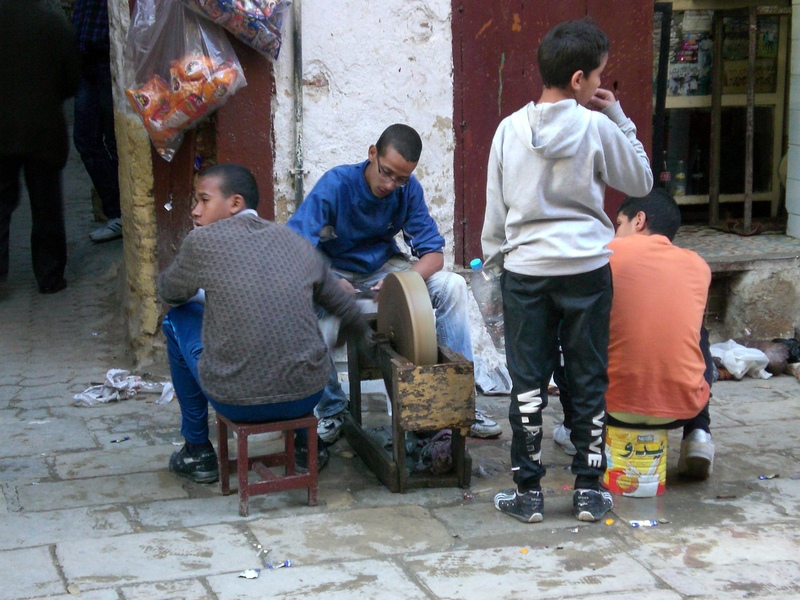 Fez’s atmosphere is palpably festive and this week most schools are closed to celebrate the Eid, which was Wednesday. 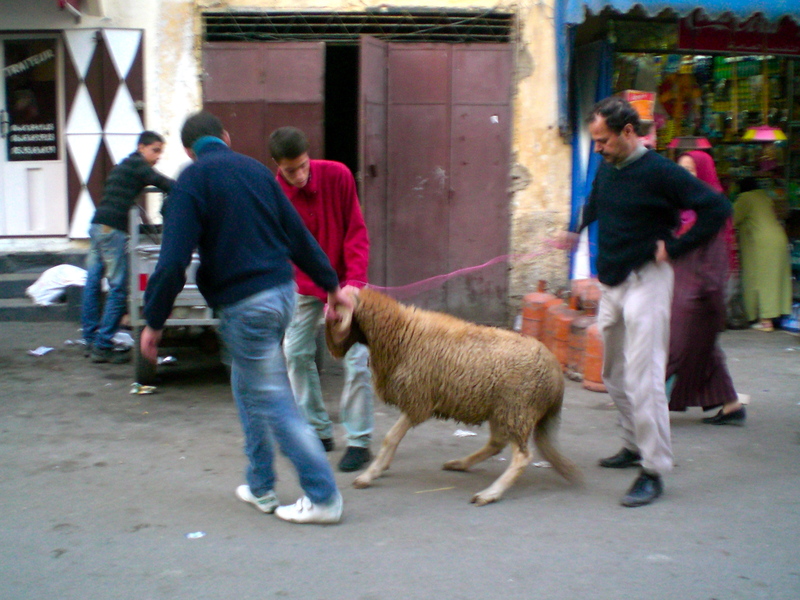 Last week I began noticing one or two people a day dragging young rams home through the streets in preparation. This week on my walks home from school I didn’t even bother to count: a friend of mine astutely likened it to seeing Christmas trees strapped atop cars at home. On every other corner men sat by their makeshift knife-sharpening stands, which usually consisted of a large, round rock that is cranked by hand and a bucket of water. Nearby, piles of straw were for sale to tide the rams over. I live with a fairly well-off family that bought not just a young ram for the Eid, but also a four-month-old calf. 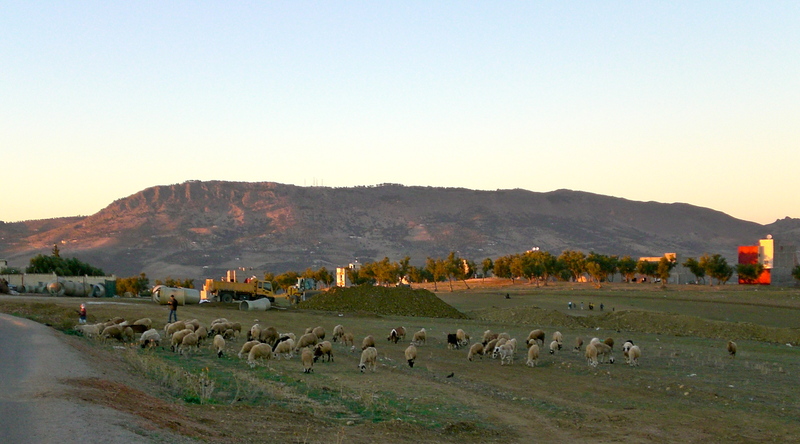 In most families, the sheep live in the house or on the roof until the morning of the Eid, but my family’s animals were kept next door in an open area. Monday I arrived home from school to find the calf in my kitchen and my family waiting for the butcher to arrive. To give an idea of his size, this calf was no newborn: he was beginning to sprout horns, was probably pushing 350 pounds, and took up half the kitchen. Though the butcher didn’t allow me in the room for the sacrifice of the calf, I did watch (and take part in) the entire process otherwise, from skinning it to cleaning out the internal organs to cutting the carcass into four sections that were later hung overnight in the kitchen. It took about four hours from the time the animal was killed until the floor was mopped clean. Afterward, we ate liver and sweetbread kabobs with glasses of mint tea. Yesterday we celebrated the Eid. While Si Muhammed (my host dad) was at the mosque, the rest of the family and I ate homemade bread with tea. The sacrifice of the ram was quick and seemed almost routine after the calf. Mustapha and Si Muhammed worked quickly skinning the sheep while Nadia and Amina processed the internal organs and we were eating fat-wrapped liver and heart skewers before 2 pm. 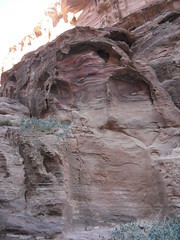 I have pictures and some videos: what do you think, should I post them? I hesitate to say yes, but I am curious. Why not, post em.